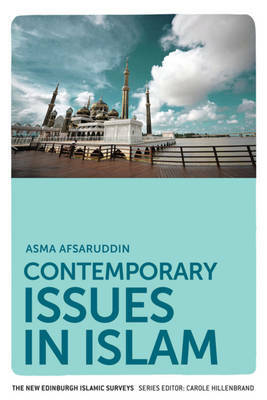 This book discusses key issues in Islam today including Shari'a, jihad, politics, gender and interfaith relations. This book deals with certain "hot button" contemporary issues in Islam that are often the focus of public scrutiny, including the Shari'a, jihad, the caliphate, women's status, and interfaith relations. Notably, it places the discussion of these topics within a longer historical framework in order to reveal their multiple interpretations and contested applications over time. Most public - and occasionally academic - discourses in the West present the Islamic tradition as unchanging and therefore unable to respond to the modern world. Such an ahistorical approach can foster the belief that Muslim majority and Western societies are destined to clash. This book reveals instead the diversity and transformations within Islamic thought over time. Focusing on this internal diversity permits us to appreciate the scriptural and intellectual resources available within the Islamic tradition for responding to the challenges of modernity, even as this tradition interrogates and shapes modernity itself. It identifies seven key "controversial" issues that frequently emerge concerning Islam in public discussions, academic and non academic. It offers a historically contextualised discussion of these key issues and concepts in the context of modernity and relations with the West. It challenges the "clash of civilisations" thesis by identifying shared, universal values that are retrievable from a deeper, historicised investigation of the Islamic past and its connection with the present. It interrogates the premise that secularisation must precede a successful transition to modernity and that Western style modernity is the only paradigm available.